The T9 keyboard is making a comeback, Candybars and Clamshells are in demand, possible due to popular television shows featuring their buttons and mechanisms as a more dramatic tool to hand up and answer than sliding your finger over the touch screen. Archos have taken queue and tried to mix something new into the tired and tested formula, almost hitting the bullseye. 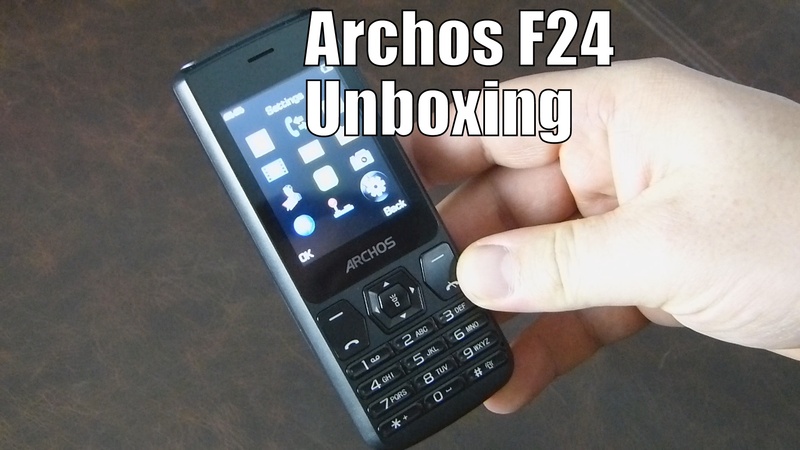 The Archos F24 features a 2.4 inch colour screen with a simple and intuitive interface. A Dual-SIM setup means you can manage both of your numbers and make sure you never miss a call, combine this with a week of stand-by long battery life for the 4000mAh battery and you have even more time for all your calls. Another novel feature is the twin LED torch on the top of the unit, making good use of the larger battery capacity and providing an extremely useful tool. The F24 does have a rather disappointing rear facing 2MP camera oddly without a flash and those twin LEDs can’t help with the image quality. Bluetooth & organiser with a clock, alarm clock with ringtones , calendar, calculator, stopwatch and unit conversation.